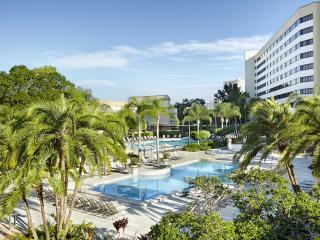 Experience the best of the Walt Disney World Resort at the Wyndham Lake Buena Vista Resort. 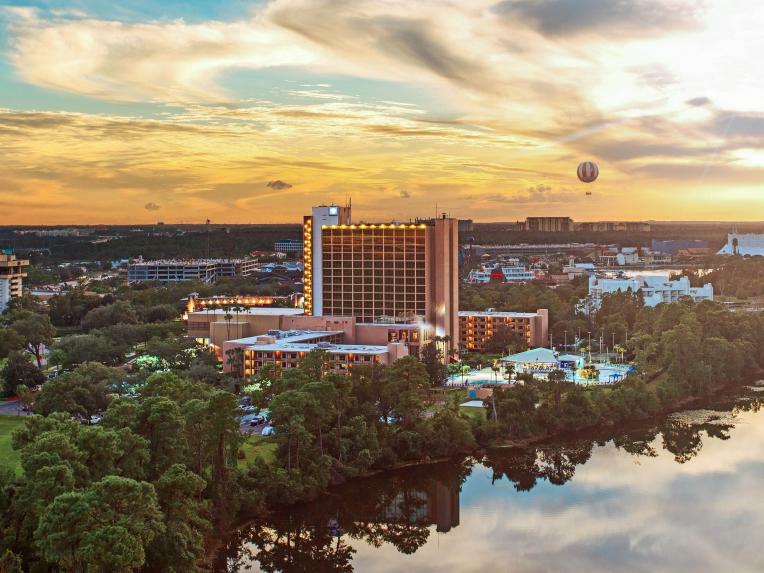 Magic abounds at this official Disney Partner hotel which is well located just a short stroll from the shops, restaurants and fun of all-new Disney Springs™. 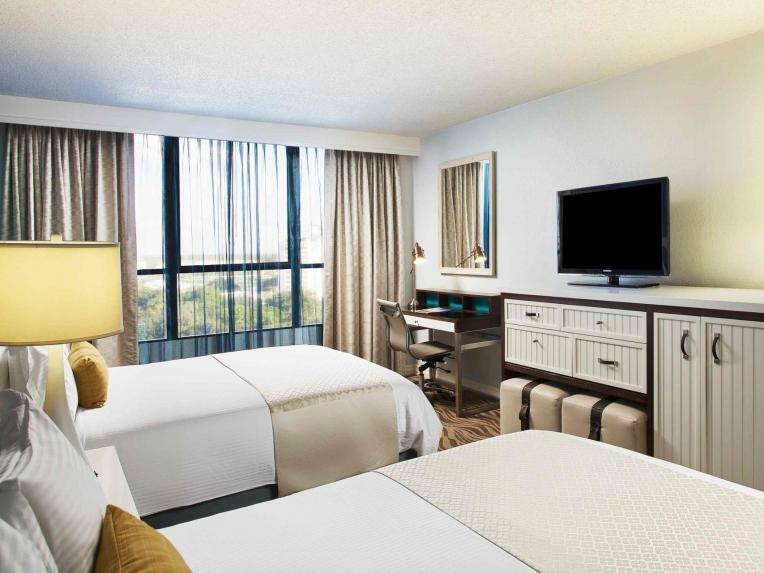 In addition to exclusive theme park benefits for guests buying their hotel room and theme park tickets together such as early park admission at Walt Disney World theme parks and early access to the Disney FastPass+ reservation system, this popular hotel offers an impressive range of family-friendly facilities. 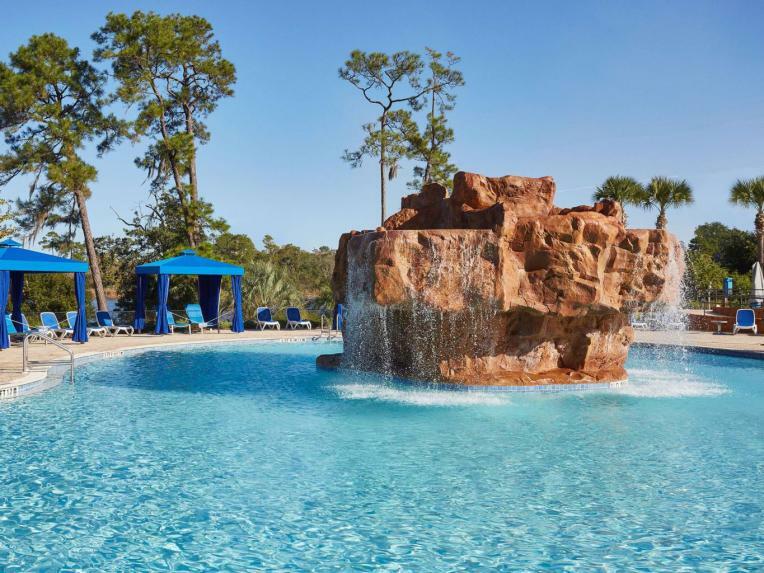 Kids of all ages will love the Oasis Aquatic Playground with its zero entry swimming pool and interactive water features and a rock waterfall. 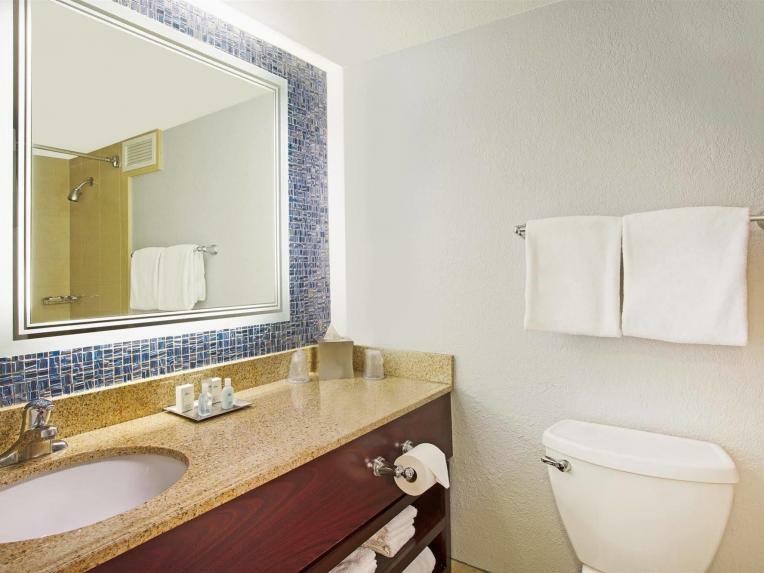 Adults will appreciate the spacious sundeck and elevated hot tub. 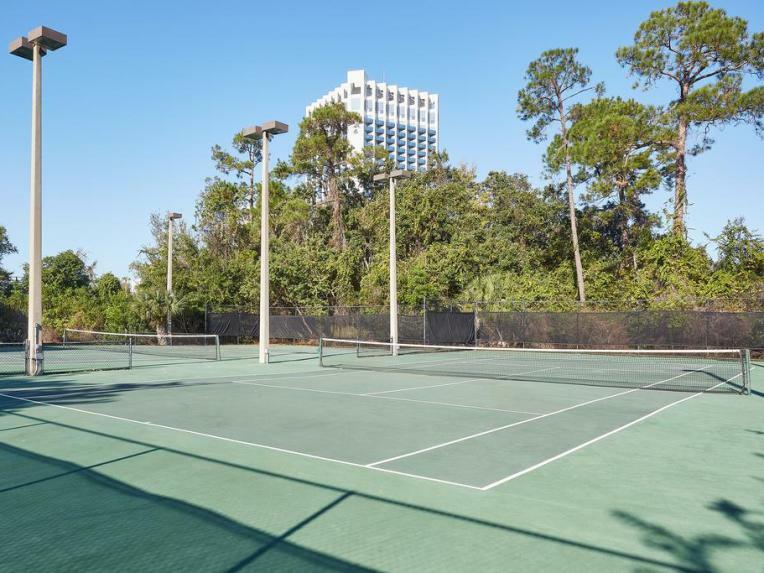 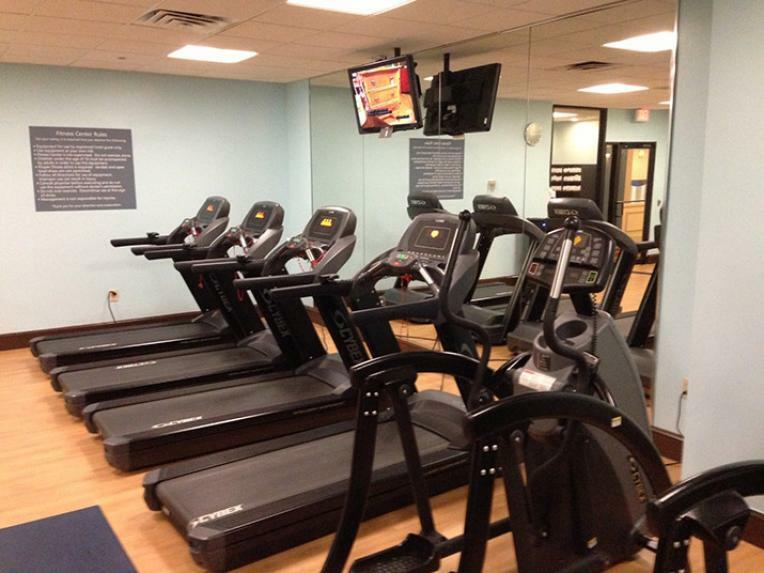 The hotel also boasts two floodlit tennis courts, a sand volleyball court and a state-of-the-art fitness centre. 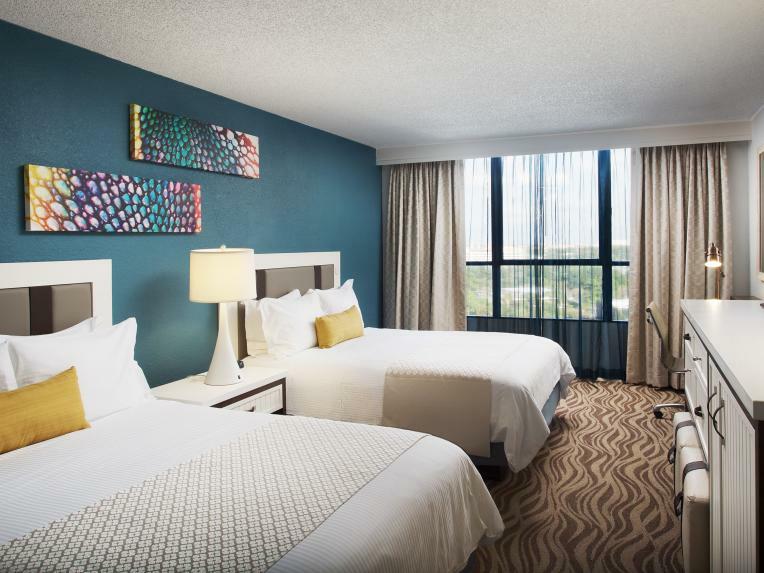 The newly renovated spacious rooms are all equipped with plush bedding, high-speed wireless Internet access, 37-inch HDTV flat-screen TV, mini refrigerator and an in-room safe for a comfortable stay. 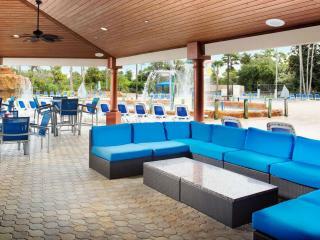 In addition guests can also Dine with Disney Characters at Lakeview Restaurant. On Tuesday, Thursday and Saturday mornings, Lakeview Restaurant offers one of its highlights – the ever popular Disney Character Breakfast. 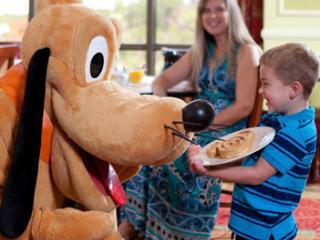 Kids will love this unforgettable breakfast buffet and the chance to get autographs and take pictures with their favourite Disney friends! 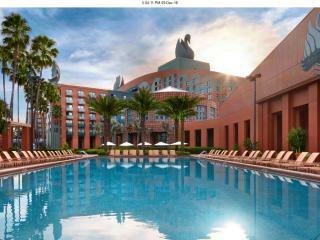 A few minutes walk from shops, restaurants and fun of Disney Springs which can be reached by a pedestrian Sky bridge. 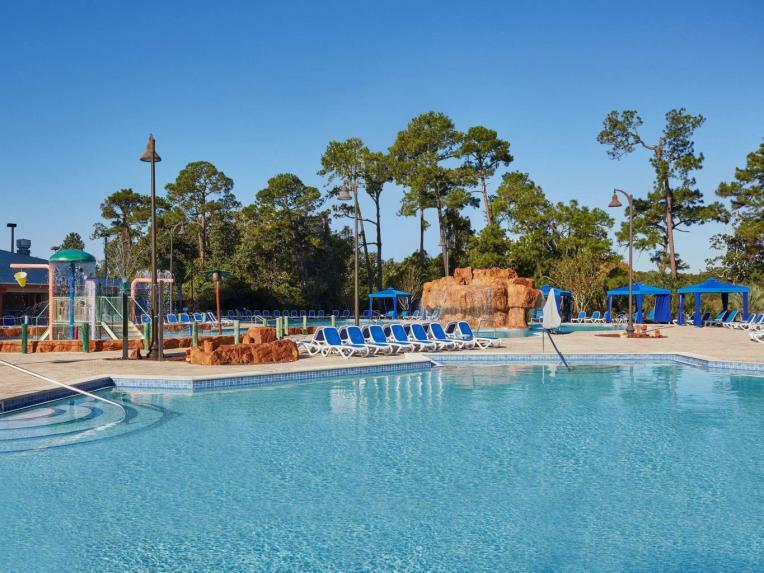 Continuous shuttles put the magic of the Walt Disney World theme parks at your doorstep. 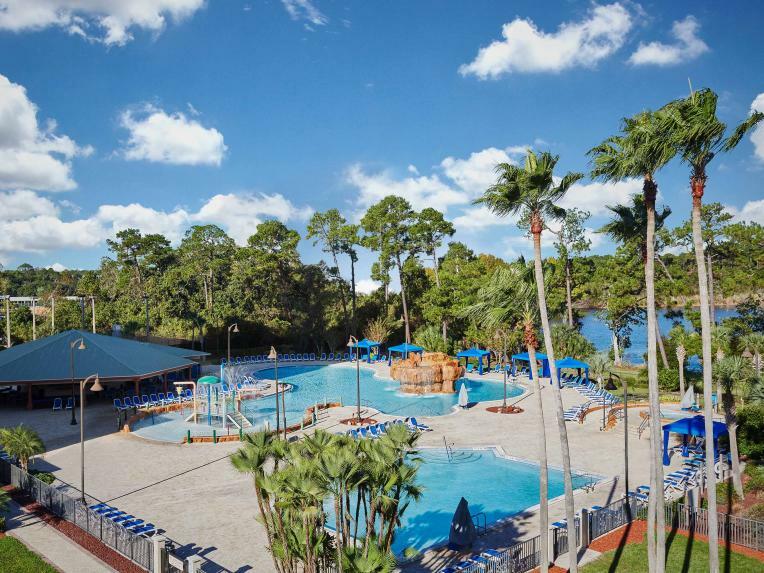 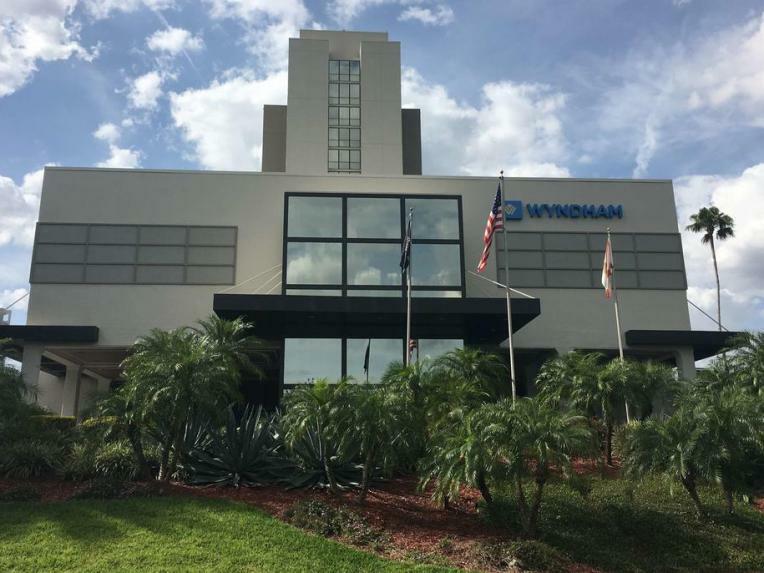 A great option for families, the ever popular Wyndham Lake Buena Vista specialises in family friendly amenities and facilities. 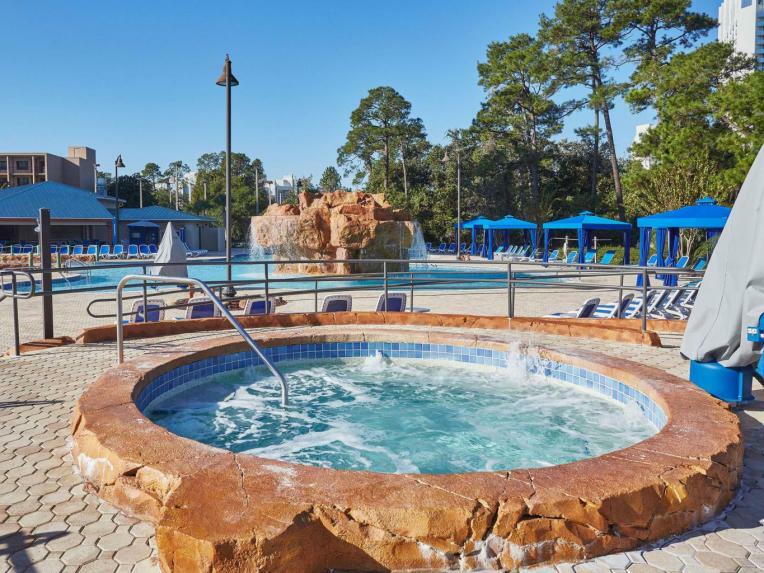 Adults and kids alike will enjoy the Oasis Aquatic Playground featuring swimming pools, a spacious sundeck area, hot tub and sporting activities such as tennis and basketball. 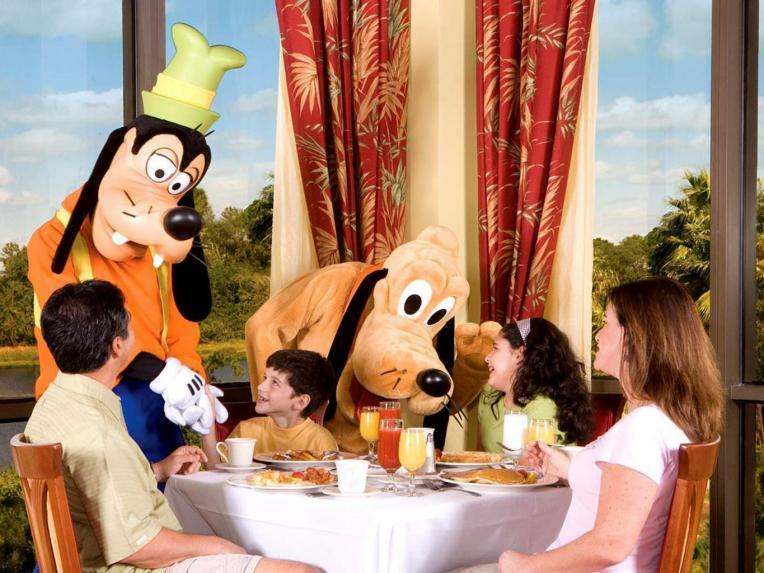 Don't miss the chance to meet your favourite Disney Characters at the ever popular Disney® Character Breakfast avaiulable three times a week at the Lakeview Restaurant. 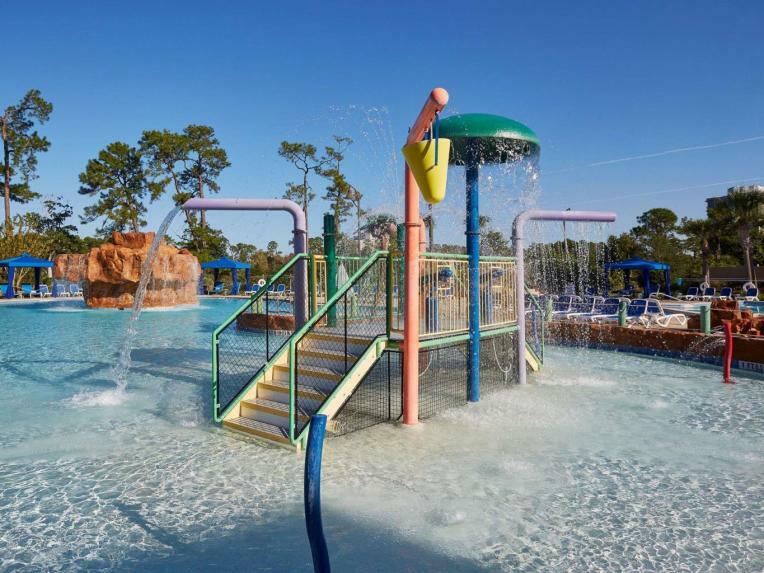 There’s no need for waterproof watches at the Disney Water Parks – you can always check the time on the Clock Tower. 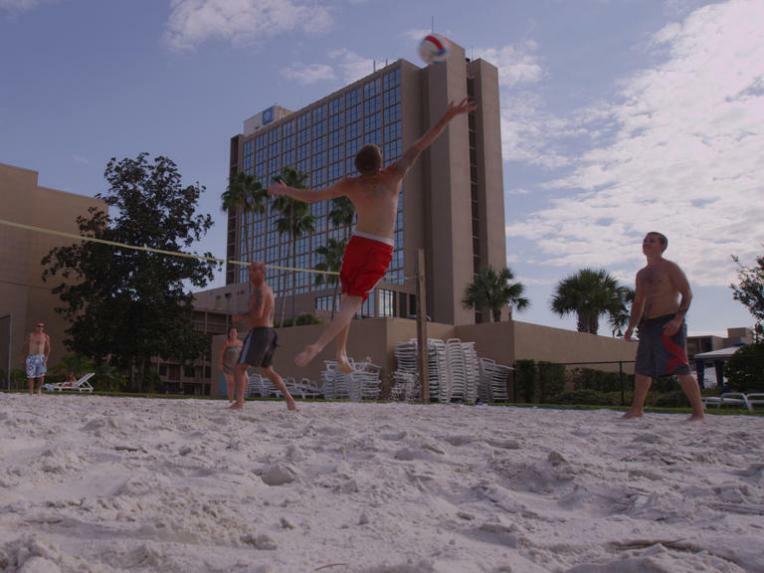 Parking: A Parking Fee of $20.00 plus tax daily (subject to change) is payable direct to the hotel. 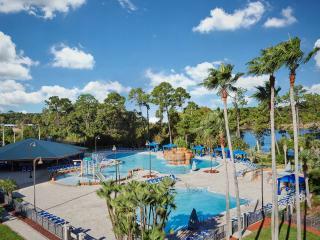 Lakeview Restaurant features fine cuisine and a relaxing atmosphere with beautiful lake views. 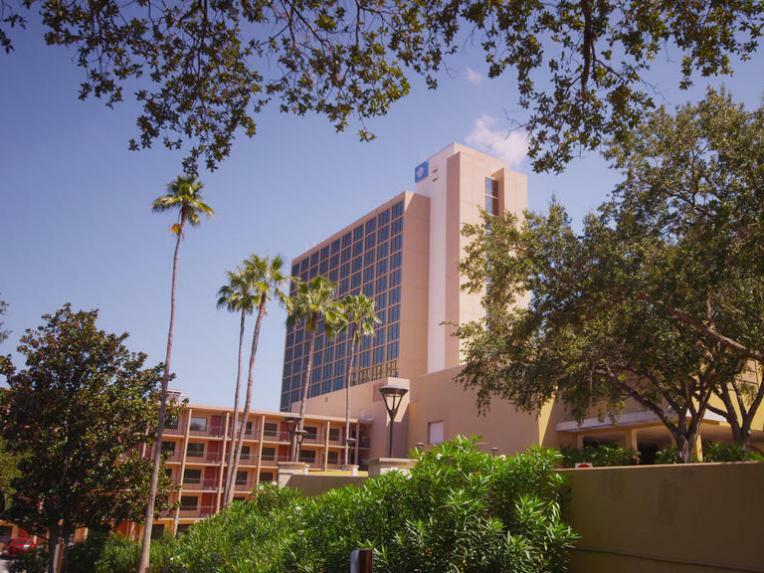 On Tuesday, Thursday and Saturday mornings, Lakeview offers one of its highlights – the ever popular Disney Character Breakfast – a delicious buffet and awesome opportunity for children and adults to interact with their favorite Disney characters. Ideal for casual outdoor dining under the beautiful Florida sunshine, this poolside eatery features yummy food and refreshing beverages. 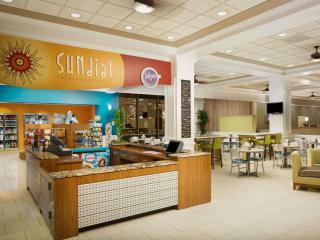 Choices include tasty salads, freshly grilled burgers and sandwiches, hot wings, loaded tacos and more! Conveniently located on the hotel’s Lobby Level, Sundial 24-7 offers a wide assortment of light, quick, casual, self-serve, familiar food and beverage items…ideal for guests and families on-the-go. 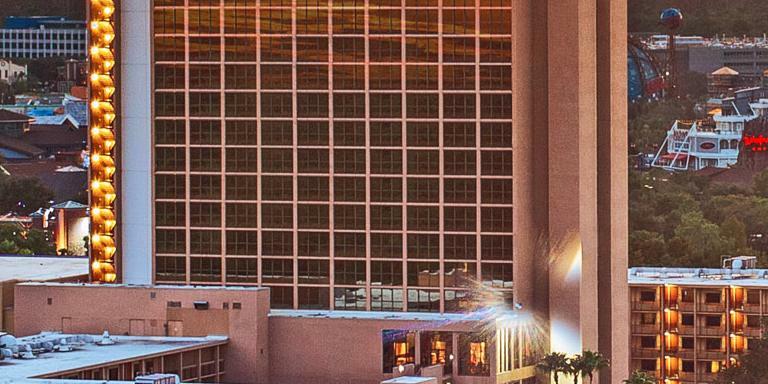 Located on the lobby level, The Eclipse Bar is a favourite place to meet for cocktails as evening begins or fun-filled, action-packed days end. 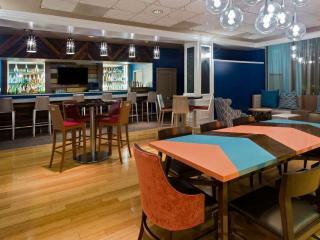 Here, guests and visitors can sip a beer, snack on bar menu food delights or catch sports action on the lounge big-screen TV. 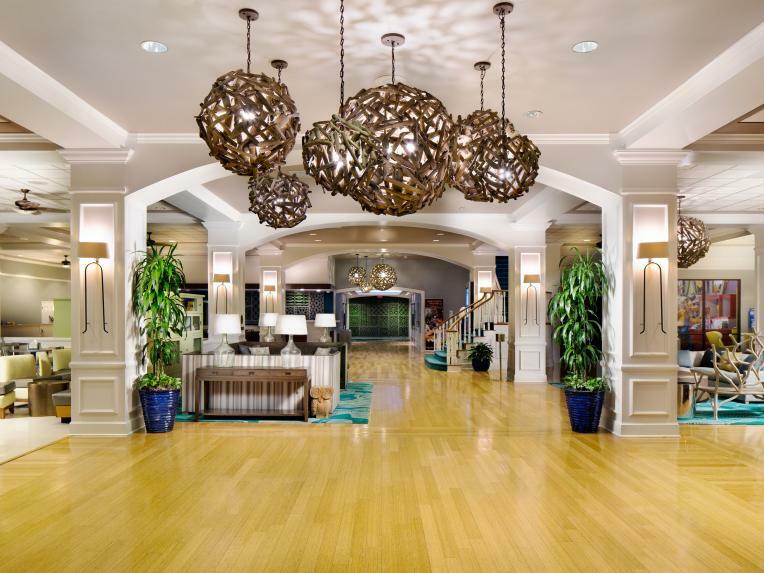 This is the place to disconnect from theme park frenzy and engage in a little human connection!